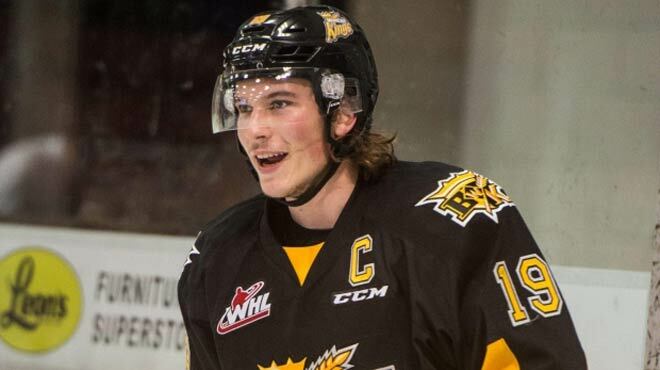 Betting websites think that Nolan Patrick will be the biggest nugget in the 2017 NHL Entry Draft. All signs point to the New Jersey Devils selecting Patrick as the top overall pick this weekend – unless they decide to take a left turn and go instead for Nico Hischier. The Canadian centre scored 33 goals and had 30 assists with the Winnipeg Thrashers of the Manitoba Midget ‘AAA’ Hockey League before being selected by the Brandon Wheat Kings as the 4th pick overall in the 2013 Western Hockey League Bantam Draft. Patrick posted 205 points (92 goals and 113 assists) in 163 regular season games and 45 points (21 goals and 24 assists) in 49 postseason games in four seasons with Brandon. Patrick was named the 2016 WHL playoffs MVP after helping the Wheat Kings win their first championship in two decades, tying teammate Jayce Hawryluk for a league-best 30 points. He finished tied for third in the league in assists (61) and fifth in points (102) in 72 games in the 2015-16 regular season. Furthermore, Patrick won the WHL Rookie of the Year award in 2014-15 after averaging more than a point per game and leading all rookies in goals. Even if picked second overall as betting websites in the US project him to be, Hischier still stands to become the highest-drafted Swiss skater in the history of the NHL history, surpassing Nino ‘El Nino’ Niederreiter who was picked 5th overall by the Islanders in 2010. He led Quebec Major Junior Hockey League rookies with 38 goals and assists 48 (86 points) in 57 games this season. 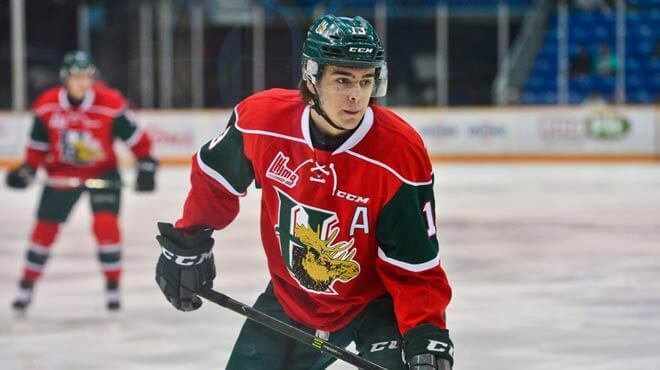 Hischier was named the CHL and QMJHL Rookie of the Year and given the Mike Bossy Trophy to the league’s best professional prospect. The highest-rated US-born in the 2017 Draft Prospect Rankings, Mittelstadt was named the winner of Minnesota’s Mr. Hockey award in 2016-17 to the top senior high school hockey player in the state, joining such other recipients as Nick Bjugstad, Nick Leddy, and Ryan McDonagh. He led Eden Prairie High School in goals, assists, and points in 2016-17, while also appearing with the Green Bay Gamblers of the United States Hockey League, averaging more than a point per game in 24 games. Vilardi averaged more than a point-per-game in the 2016-17 regular season, posting 61 points (29 goals and 32 assists) in 49 games. His 29 scores led the Windsor Spitfires while his 61 points ranked second on the team. additionally, he led Windsor in playoffs points Ontario Hockey League postseason with 2 goals and 4 assists for 6 points in a seven-game, first-round loss to London. Plenty of Canadians best betting prediction sites – as well as NHL teams to choose from. Rasmussen led the Tri-City Americans with 15 power-play goals in 2016-17, finishing the season with 32 goals, 23 assists (55 points) in 50 games, becoming the first Americans to score four goals in a single game since 2012 in the process.